Finnish Prime Minister Juha Sipilä and Swedish Prime Minister Stefan Löfven have penned a rare joint missive outlining their plans for closer cooperation in the event of an armed crisis. They say European security now faces its biggest threat since the Cold War. 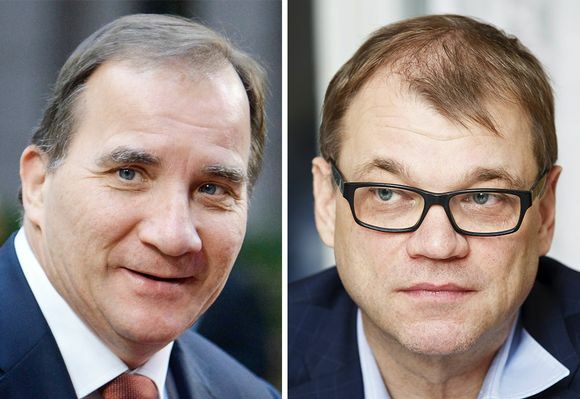 Prime Minister of Finland Juha Sipilä joined with the Prime Minister of Sweden Stefan Löfven to write a letter expressing their concern over recent development on the world stage, developments they say have now created the most serious threat to European security since the Cold War. The co-authored article appeared in media company Lännen Media’s 12 newspaper publications in Finland and in the popular Dagens Nyheter daily published in Stockholm. In the article, the premiers state that they are planning to implement even closer defence cooperation. “Finland and Sweden both operate outside of military alliances. We believe that this policy serves us well. We must rely on this experience in our assessment of the challenges currently facing us,” the prime ministers write. “Our military non-alignment contributes to the stability and security of Northern Europe as a whole. This does not mean, however, that we have chosen an isolationist path. We are active members of the European Union. Cooperation with the other Nordic countries and the Baltic States is particularly important,” they continue. They say Finland and Sweden could also work together in future crises and armed conflicts, if the necessary political decisions to make this a reality are made in each country. “Defence cooperation between Finland and Sweden has taken some important steps recently. It now includes joint exercises, increased information exchange and shared use of each other’s ports and airports,” they say. Sipilä and Löfven agree that a major security threat exists at the moment, brought on primarily by the increase of military operations in the Baltic Sea, but also by the influence of the crisis in Syria and the danger presented by the terrorist organisation Islamic State.